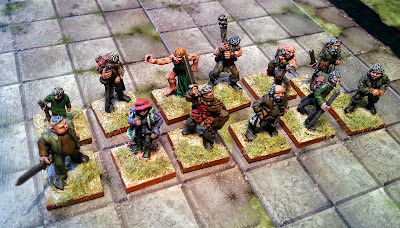 Goodman Games • View topic - What miniatures are good for 0-level play? What miniatures are good for 0-level play? 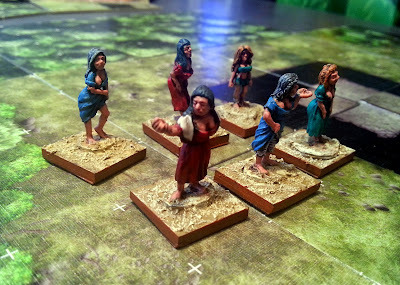 Post subject: Re: What miniatures are good for 0-level play? Even more villagers in the Bones mix. I got hooked in too. What hath Kickstarter wrought? Nearly 200 minis for $100 pledge & still more minis to be added. These minis are ideal for DCC. I'm selling a LARGE collection of old school Grenadier and Ral Partha minis from the 70s, 80s, and 90s on eBay. UserID = beer_motor. Will be listing more every day until the whole group is gone. Also going to sell a big collection of painting supplies (GW paints). That sounds awesome! I know my players would be more keen to use paper minis if we could just print off new ones when they get better loot. "The Shamrock Shake is a frosty, minty symbol of all that we hold dear. It is shameful that we as a people cannot enjoy this proud, symbolic beverage any more than one week a year. Unless the British government loosens its iron grip on this most Irish of shakes, the streets will once again run red with English blood." - Gerry Adams, leader of Sinn Fein, the IRA's political wing. I put up some more metal minis for sale. I threw some money at that Reaper Kickstarter. They just crossed 1.5 million and the $100 backers are getting a ton of stuff. Even though I rarely have the time anymore, I do like to paint! Last batch of mine are now on eBay... userID = beer_motor. Some good old school stuff in there, including some Heritage kobolds, Tomb of Spells stuff from Grenadier, etc. I visited your site, saw the wall of French text, and was scared away! My comprehend languages cast failed. On the top of the right colum you have a translating tool. I'm new to painting minis so any advice is welcome. How do you make your bases? They look really good! While I have about 25 years worth of collecting miniatures to pull from, I am planning on using the Game Dorn and the threatened city of "Argos" for the basis of our upcoming Isle of the Unknown DCC campaign. Take a look. It's a cool board game, but immediately I thought it would make a great spot to begin our sandbox tour of the weird!